We’ve all been to conferences. You sit quietly, listen to someone else speak, don’t have much input from your end, and try not to get caught fiddling with your cell phone. While the traditional conference can be informative the lack of two-way communication limits the sharing of ideas. The unconference will have multiple participants focused on the sharing of ideas. Instead of the traditional one to many, the format will be many to many. Multiple (8 to 10) 30 minute seasons also allows the sharing of ideas without things running too long. Panels, Q&A sessions, and roundtable discussions will all be employed to make sure everyone who wants to be heard is given a chance to provide input. If you want to see more about our current topics and delegates click here. Note that this event is driven by the participants and there are still openings for discussion sessions and anyone who feels they have something to say is welcome to run a session of their own. Much like open source the more input and the more data the better the results. The purposes of this event are multifaceted. First and foremost the more people interested in AI the healthier the industry. Events such as this not only create a more informed public but also increases the number of people seeking to work in the industry and pursue it as a career. The second reason is for general educational purposes and the creation of materials that can be used to inform others. Flatly, artificial intelligence is not looked upon favourably by a lot of people. 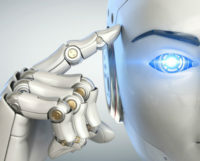 Much of the public perception of AI is of the post-apocalyptic dystopian variety that is common in sci-fi entertainment. This isn’t helped by public figures making implications that the robot uprising is seemingly happening next week. There is a positive case to be made for AI and further education can help spread a more nuanced view among the general public. Much of the negativity around AI is based on the worst possible outcomes. These skip over any concept of a long-term AI development cycle, safeguards, development of standards, and safety laws that may arise. Many fear that AI will be developed without any of these concepts taken into consideration and a human enslaving robot horde will occur seemingly by accident. There are many discussions yet to come about the ethics, philosophical concepts, and safety concerns advanced AI will bring. These topics will be given careful thought as the technology develops and advances. The benefits of AI are many and the improvements it can make to human civilization as a whole are world changing. Examples include automation, information gathering, fighting world hunger, fighting poverty, public safety, and simple day to day convenience. The sharing of ideas is going to guide AI development (as it has many other technological developments) and the more input collected from various sources the better the results. The interest for this ‘unconference’ is proof of the desire people have to share information. What was planned as a small event at a coffee shop has grown to a 40 person event (with room for more) and all this was done without any outside advertisement or promotion.